CC Editor Rob Jones is in Tucson for the Team RadioShack Training Camp Media Day which includes a training ride and a press conference (or two) . Rob will be sending photos and a report at the end of the day. 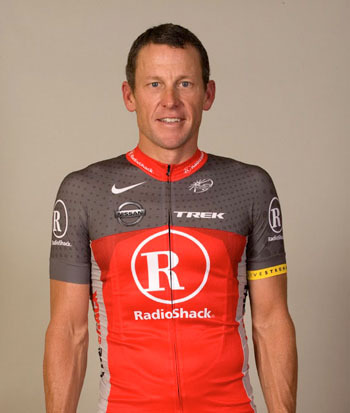 Yesterday the first version of the RadioShack team kit was unveiled, and, although it is not yet the 'official' kit here is what it looks like so far.